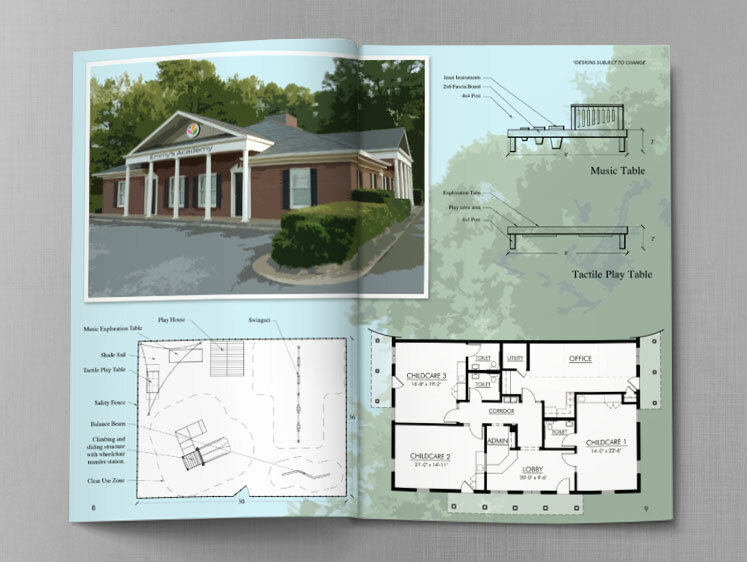 Opening in Fall 2015, Emmy’s Academy is an early intervention childcare center providing a full inclusion, early learning environment with low student to teacher ratios. 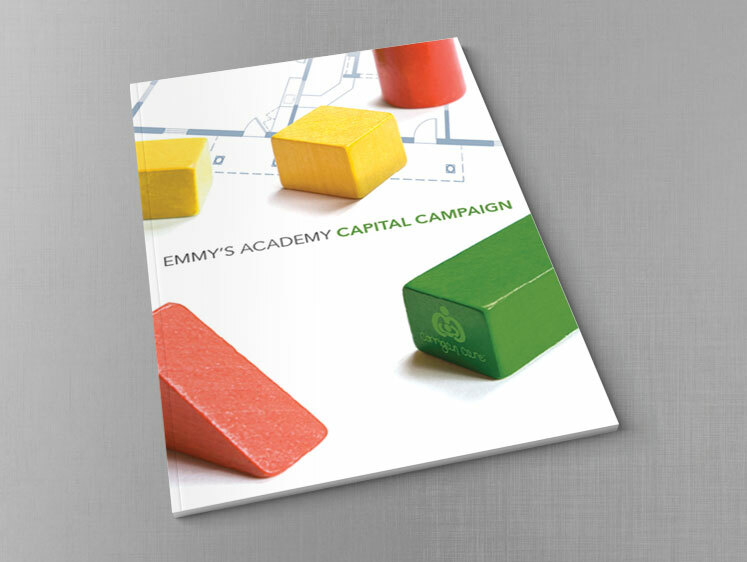 In late 2012, Emmy’s Academy launched a Capital Campaign to raise funds for the center’s buildout. 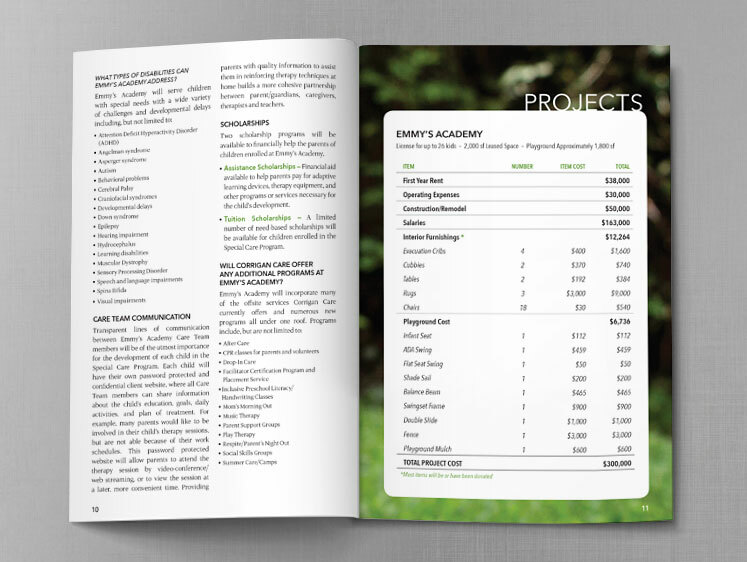 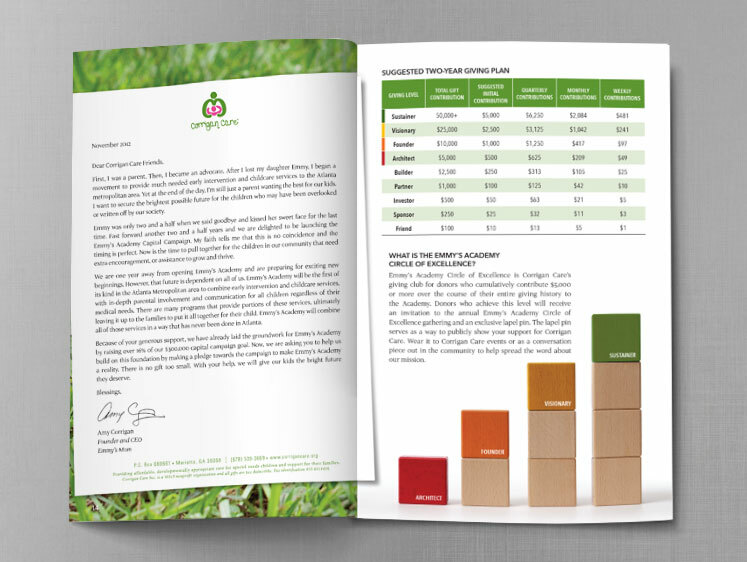 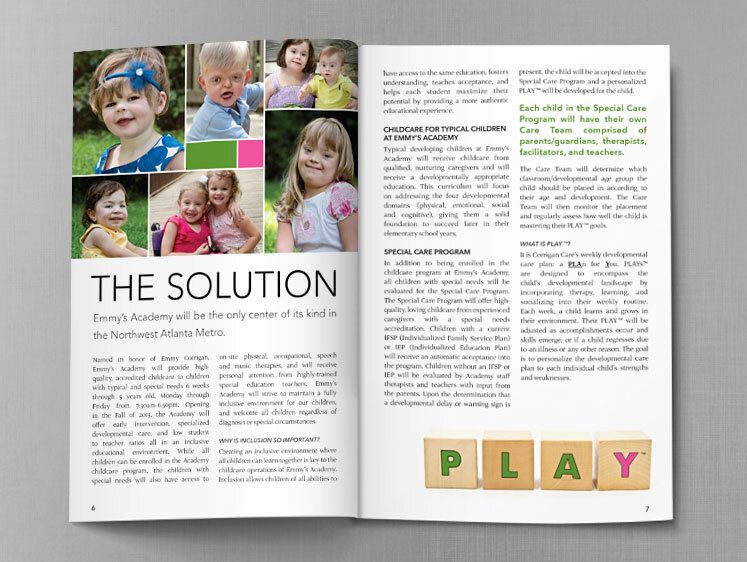 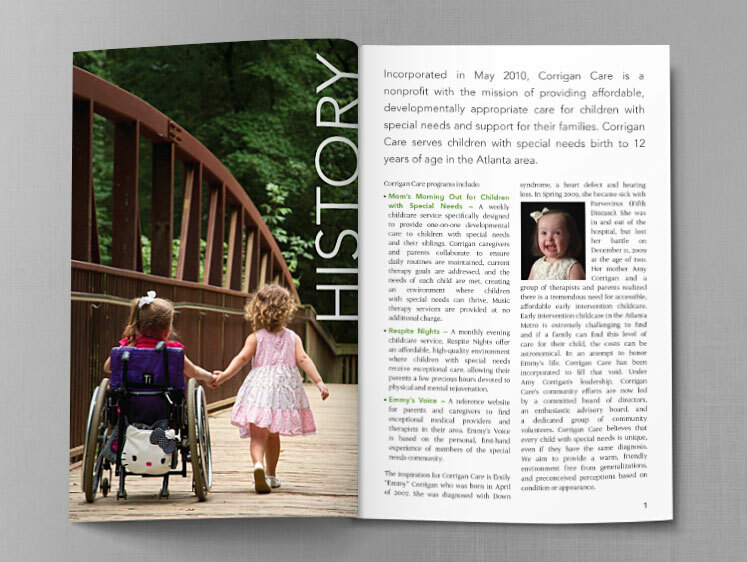 The 18 page brochure outlined the need for a specialized center in the Metro Atlanta Area, the Academy’s child care team, developmental care plan, and physical items needed to make this dream a reality.